An exploration of the computer system that was too far ahead of its time to succeed but whose legacy quietly endures. Techno-critics who worry that computers are turning us into Pavlovian experiments might find ammunition for such an argument in tech entrepreneur Dear’s history of PLATO, which grew from B.F. Skinner’s theories of programmed learning—the same one that taught pigeons how to peck at levers for rewards in the form of bird seed. The author calls his book the “biography of a vision,” and he’s quite right to do so, though that vision in practice turns out to be less mechanistic than the purely Skinner-ian one. In fact, PLATO, a learning environment that found a home at the University of Illinois, grew from the dream of “building a computer that could teach” using both natural language and artificial intelligence; from that learning impulse also grew some of the first computer-based communities. Early experiments and programs, Dear writes, are not well-documented, so there’s a little learned guesswork in figuring out what code whisperers like Donald Bitzer and Dan Alpert were up to. The story picks up speed and grounding alike when it gets into the heart of the techno-libertarian 1960s, when companies like Xerox and Control Data Corporation began to suss out the possibilities PLATO offered, including some of the first graphics programs. For their part, tech geeks used the platform for additional pleasures, including the earliest Dungeons & Dragons ports. 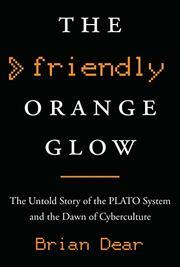 In the end, writes Dear, for many computer aficionados, especially in the 1970s, PLATO became a platform for learning about PLATO: “The system itself was the thing.” Those aficionados spun off into other realms, including the first usable graphical interface for the brand-new World Wide Web, which changed the world even as PLATO receded into history—not to mention “Castle Wolfenstein,” which has newfound relevance today. A readable tech history, but it helps to have a background in computers to get the most out of Dear’s account. As good an account of PLATO as we’re likely to get—or to need.